In the world of marketing today, adding some aspect of advertising to a vehicle is one of the best tricks. According to the Outdoor Advertising Association of America, one vehicle wrap can generate between 30,000 – 70,000 impressions daily. By advertising with a vehicle, your name can be seen 24/7 and in a very large range of space. 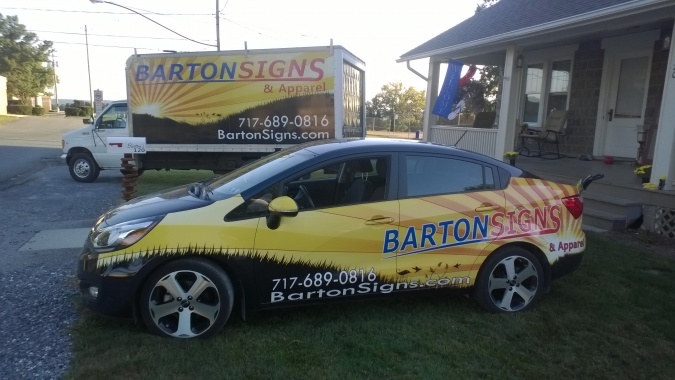 Here at Barton Signs and Apparel, we can take care of any mobile-advertising you may need. If you are willing to go all out to get your company’s name out into the public, then a vehicle wrap just might be your best bet. Wraps give your vehicle a complete head-to-toe makeover with a finish that says your company’s name loud and proud. Keeping the same idea as a vehicle wrap in mind, a partial wrap can be done for when you want a noticeable new look promoting your business, but not an all over change. Vehicle lettering is another great way to get your name around your local community. 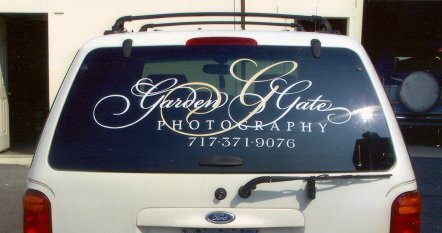 Again, this is a method which allows for a quality design of your company’s name and logo to go wherever you do without completely changing the look of your vehicle. Vehicle magnets are a great alternative to other more permanent mobile-advertising options. 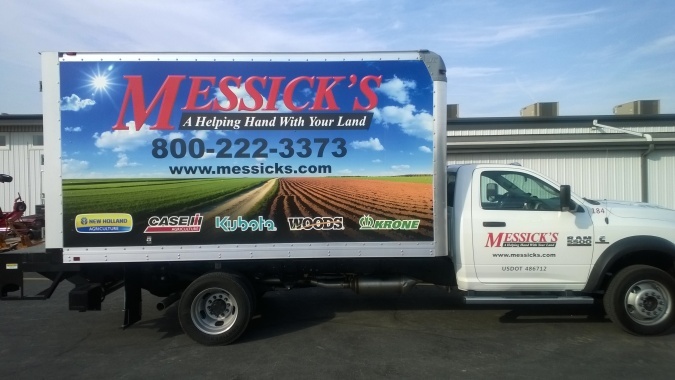 They provide the same service as wraps or lettering by displaying your company’s name without the commitment of a permanent change to your vehicle.